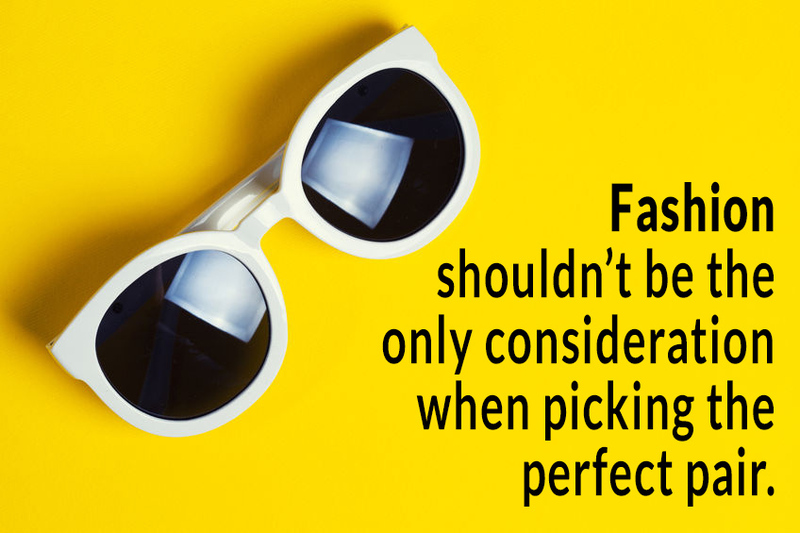 Before we can talk about what makes a pair of sunglasses a good pair of sunglasses, we first have to discuss why protecting your eyes and eyelids is essential. Skin Cancer – the eyelids are there to protect the eyeball from the environment. However, due to its thin and fragile anatomy, the eyelid region actually accounts for nearly 10% of all skin cancers reported in America. Eyelid cancers can be very aggressive and cause damage to the eyelids’ function, loss of eyelashes, and in some cases it may even spread inside the eyeballs or into the sinus cavities. Some early warning signs include a new colored bump or an ulcerated scab/sore or an area of redness on the eyelid. Skin cancers tend to bleed frequently, flake and change in shape and size. Pinguecula and Pterygium – are non-cancerous, flesh colored growths on the white surface of your eyes. While generally not harmful, they can cause symptoms of dry eyes, tearing, and persistent redness. In some cases, pterygia may overgrow onto the cornea and cause changes in the vision by stretching and pulling the cornea. 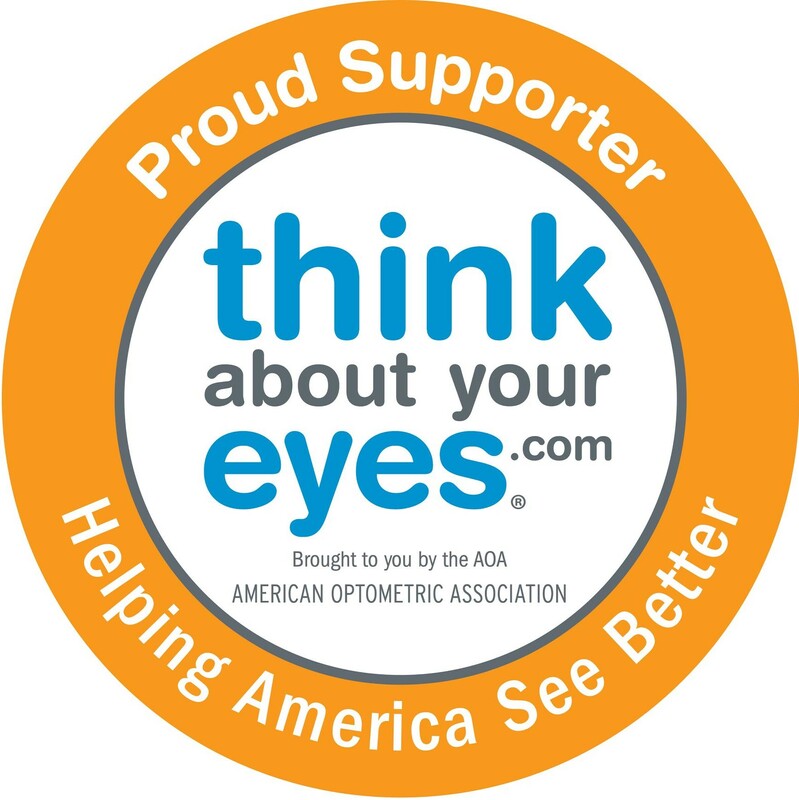 Photokeratitis – or a sunburn to the cornea, is caused by excessive exposure to the sun or tanning beds. These sunburns can be very severe but are usually temporary. Symptoms include extreme burning and sandy feeling dry eye. Photokeratitis may also occur due to sun reflections off of water or snow. Cataracts – a normal, age related change to the crystalline lens inside the eyes, however, progression is associated with sun exposure. The crystalline lens is our eyeball’s UV filter and is responsible for absorbing UVB rays. Symptoms include halos and hazy vision, like looking out of a dirty window. Macular Degeneration – also considered to be a normal, age-related degeneration of the retina that can be worsened with prolonged and excessive sun exposure, in particular to UVA rays. Some symptoms of macular degeneration include distortion of the central vision or a missing spot in the central vision. So, how do we prevent sun damage? UV coating – your sunglasses should block 99-100% of UVA/UVB light. Ask your optician to add a UV400 coating to your sunglasses. Tint – a tinted lens does not mean a UV protecting lens. Tints come in many different colors and saturations to reduce the intensity of the sun’s brightness and enhance your vision. Pick a color that best matches your needs; gray reduces brightness, brown increases color contrast, yellow aides with depth perception, and blue tints help to reduce strain on the eyes from electronic devices. Glare Protection – anti-glare or anti-reflection coating works by absorbing reflections; with less reflection, less UV rays reach the eyes. Reducing reflections also eliminates squinting; which reduces wrinkles and eyestrain. For full sun protection, we recommend an anti-glare coating on the front and inside surfaces of your lenses. Polarized lenses – polarized lenses, made popular by fishermen and water sports lovers, are specially made to eliminate the effects of light scatters when light reflects off water or other bright surfaces. Polarized lenses are perfect for daytime driving, outdoor sports, and especially if you spend a lot of time around water. Polarized lenses can be treated with anti-glare coating on their inside surface for maximum protection. The Right Frame – even though you may have applied sunscreen to the skin around your eyes, it is likely to be rubbed off after some time. Wearing a large pair of sunglasses works like a shield. If you participate in outdoor sports, wrap around frames may be recommended due to their close, slip-proof fit. Julia Simon Dunnavant is a licensed Optometrist in the State of New York and New Jersey. She received her doctoral degree from the State University of New York College of Optometry and her Bachelor of Arts from Rutgers University. ​Dr. Simon Dunnavant is trained in spectacle refractions, standard and complicated contact lens fittings, dry eye evaluations and dilated eye exams as part of the annual eye care routine and, in particular, for the evaluation and management of eye diseases including diabetes, hypertension and glaucoma.